Pick your project, follow the steps, and get advice if needed. 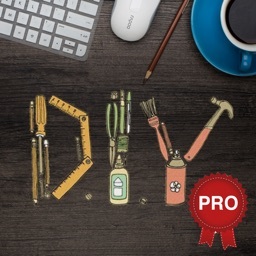 DIYZ offers professional advice and how-to's for your home project needs. 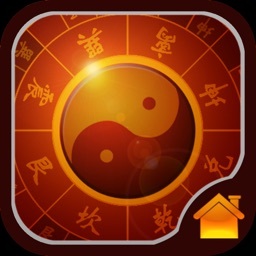 The app allows you to search for a specific project or browse by type such as electrical, exterior, paint, or plumbing. There are helpful videos as well as written instructions. 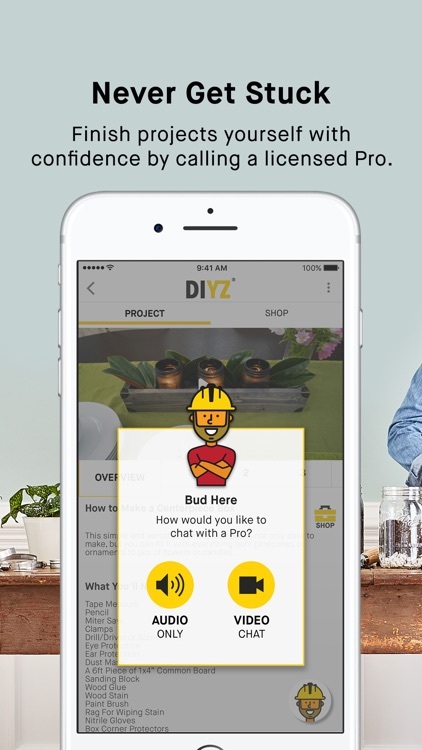 DIYZ has a nice selection of projects for your home along with a chat option for professional advice. 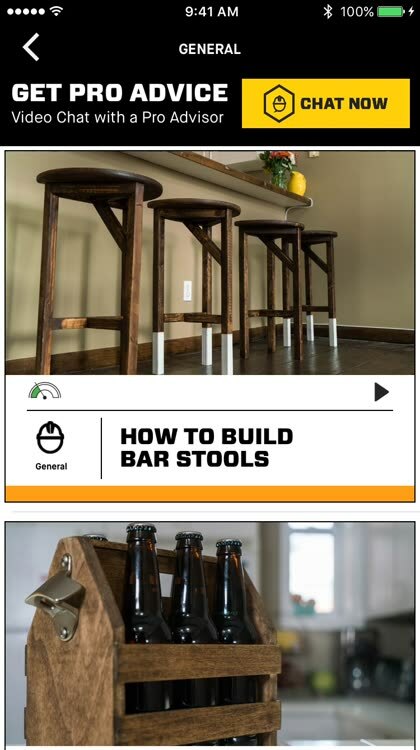 You can browse or search, mark your favorites, view videos, check out instructions, and purchase items you need for the job from within the app. For both interior and exterior projects, DIYZ is a useful tool. 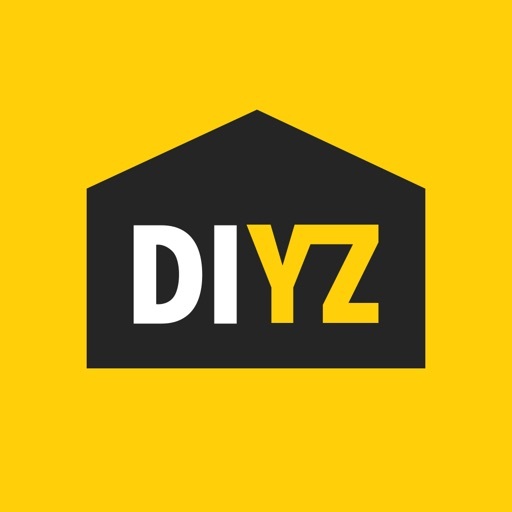 DIYZ is an easy-to-use app for assistance with your home projects with helpful videos, clear instructions, and advice from pros. Hundreds of how-to videos & step-by-step instructions - DIYZ will take you through each home project step-by-step using photos and videos. Go from a DIY’er to a DIYZ’er and ‘favorite’ projects you are most interested in. You can access them at any time in your profile (located in the hamburger menu). 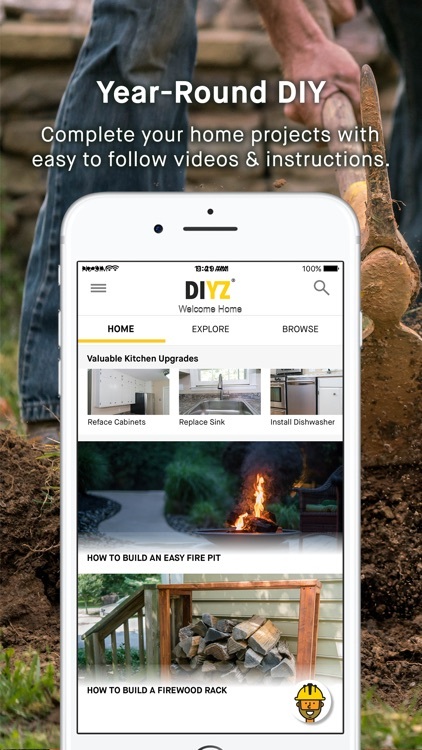 Looking for a specific home improvement project that’s not in the app? Not to worry! DIYZ is continuously adding more and more projects so check back periodically. 1. 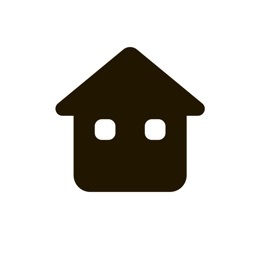 Professional Home Improvement Advice - With one simple click, connect with a licensed, professional contractor via a real-time video or audio chat. DIYZ home contractors have over 10+ years of industry experience and are available every day. Our experts have answers for any home improvement question – no matter the complexity. Simply click on Bud in the bottom right corner anywhere in the app and select your connection type. 2. Shopping lists with tools & materials - Find the right tools for your DIY project and learn how to use them. 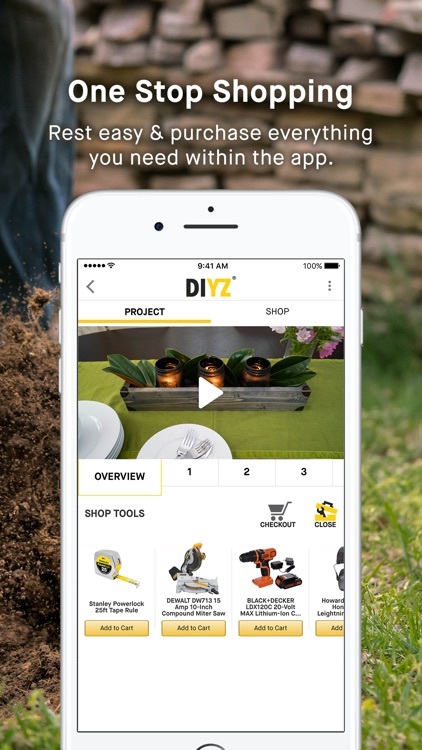 DIYZ provides recommended tools and materials to complete every home project. Deliver the tools to your door through our streamlined e-commerce experience or buy them at a local retailer. 3. DIYZ community – Connect with others who share your DIY passion. Our new community boards allow you to collaborate on projects, share your experiences and post tips, tricks, questions, and alternatives to other DIYZ community members. 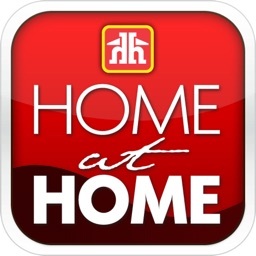 - Smart Home & Home Automation – DIYZ’s video library includes multiple projects to make your home go from ordinary to extraordinary! Automate your home with DIYZ. - Bathroom Remodeling – Is your bathroom in need of a renovation? DIYZ provides several bathroom projects to take your bathroom to the next level. - Kitchen Remodeling – Looking to change the backsplash in your kitchen, or upgrade your kitchen from top to bottom? DIYZ provides a comprehensive DIY project library for the job. - Electrical Installation & Repair – For most home DIY’ers, electrical upgrades and changes can be intimidating, but not with DIYZ! Safety is our #1 priority, with precautions listed in every project. Still concerned? Talk to one of our licensed contractors – it’s free. - Outdoor Projects & Home Exterior Maintenance – From lawn treatments to home exterior updates, upgrade your home’s exterior with ease. - Lawn Maintenance & Garden Ideas – Looking to prep your lawn for spring or summer? DIYZ provides you with the steps to get the job done. 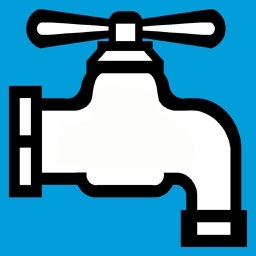 - Plumbing Installation & Emergency Home Repairs - Learn how to perform plumbing repairs and replacements yourself with DIYZ. - Window & Door Replacements – Repair and replace your windows and doors with confidence. Each tutorial provides the detail necessary to get the job done and done right. From inspiration to renovation, DIYZ has a solution for you! Watch ‘how-to’ home improvement projects and learn ways you can improve the overall enjoyment of your home, such as ‘How to Build a Fire Pit’, and ‘How to Install a USB Outlet’! 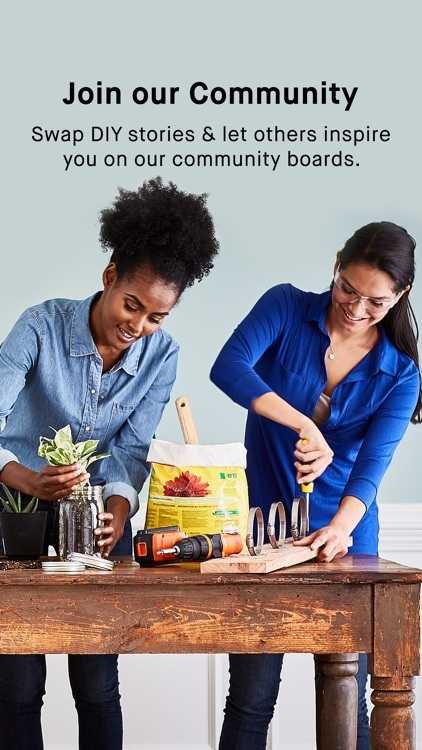 Or, improve your curb appeal and learn ‘How to Repair Cracked Concrete’, ‘How to Replace a Deck Board’, and ‘Edge a Garden Bed’! The choice is yours. Do it yourself. Do it wise.